What a bitter sweet moment for some of us to return from a 4 month summer break back into school zone! 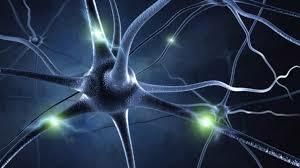 No need for the nerves – and if you didn’t have any, then you are already off to a great start! It was quite nerve wracking myself to go from a 4 month break back into a studying environment, but after the first day I pushed myself into the zone. Summer was quite productive; despite the lazy movie night days, wedding season, and hanging out with friends and family, I was able to get some clinical hours done at Community First Medical Center, work, and study for standardized exams that are coming up for me. If you had a productive summer as well, well then it is great that the adjustment back to school will not be as tiring; but even if you did not… don’t let the nerves or the stress get to you! I was pretty stressed after the first day because I was going through my class syllabus and organizing all the important dates. If I were to advise you, I would say you should definitely start organizing and planning now to see whats ahead of you this semester. It is a bit stressful at first, but it will definitely help you manage your time throughout the semester. What I usually do is put down test/quiz dates down on my calendar along with any assignment dates. This way, I know which tests overlap and can study accordingly. You should also get to know your professors now so that they can serve as a guide throughout the semester. A mistake I made my freshman year was being fearful; and when I needed help later, it became harder. Just introduce yourself to your professors, especially if it is one that is related to your future career track! You never know when they can come in handy when applying for schools or getting tips! I can’t emphasize this enough, but PLEASE manage your time wisely this semester! We get so caught up with friends or the days off this semester (since there are quite a few) and then we push everything off to the last minute. I learned the hard way, so that’s why I advise you don’t do this as well! Try evenly distributing your tasks across several days and then you can keep lunch time or a few hours with some friends. My “me” time this semester became the gym, so I try to go to the gym to get some relaxation time so I am not stressed so much this semester. Find your “me” time and make it a routine. Get involved! There are several organizations, clubs, and sports at Loyola and finding an interest can help get those nerves off! I have become greatly involved with the Pakistani Student Association (PSA) at Loyola and it definitely helps me keep the nerves off and have fun! Sometimes you just need someone to tell you to do something or guide you in the beginning – and that is OKAY. If you need that motivation, find a friend who can help you keep on some tasks – if not, you can always reach out to me! I would love to help anyone who may need help adjusting to the university or anything in general! You can contact me at hafzal@luc.edu and id love to help in any way possible! Be yourself, be fearless, and just push yourself to do as much as you can and I promise this semester will fly by! 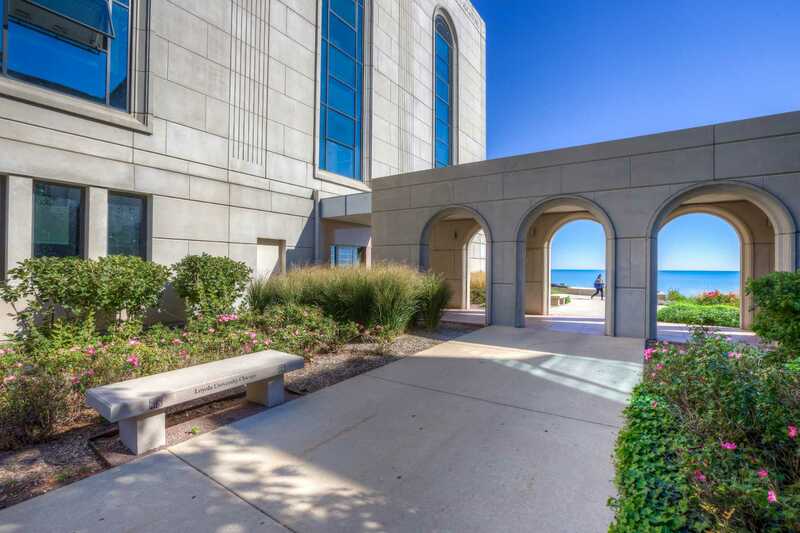 Welcome to Loyola University Chicago! Uncertainty, trepidation, and full of antici…pation, you have arrived at Loyola University Chicago and are about to embark on your college experience! Whether you are the first one in your family to go to college or you are the first sibling/child to go to Loyola, we are ready to welcome you to the Loyola family! I understand that many of you are at different points of your college career. The purpose of this blog “Life El-elevated” is help students coming from a variety of backgrounds to get better acquainted with their new home. My name is Miguel L Molina and I am a Junior at Loyola University Chicago! I am a student of the School of Communications pursuing a degree in Advertising/Public Relations with minors in Marketing and International Relations (with focuses in Latin America and Asia/Pacific). Likewise, I am also a member of the Interdisciplinary Honors Program. When I am not studying, I work as the Marketing Program Assistant at Quinlan School of Business and as a Student Blogger at the Undergraduate Admissions Office. During my free time, I enjoy playing piano and bass trombone; trying new cuisines; exploring unique bookstores and reading classic literature/Spanish literature! The Month of September: I will give you some tips to enjoying your first year at Loyola University Chicago, a shameless plug to appreciate the opportunities of getting the chance to Study Abroad, getting ready for Family Weekend 2017, and appreciate and be a part of the diversity that Loyola has to offer! Every Other Week starting October 10: Join me as I help you explore Chicago: CTA Red Line Edition as we explore major red line stops on Chicago’s El to learn fun places to hang out with friends, eat quality food on a student budget, and places you can treat yo’ self (bookstores, boutiques, and speciality shops). We will be starting South from Cermak-Chinatown, through the Loop, to ethnic neighborhoods, passing through Loyola, and all the way toward the North end of the Red Line at Howard. I will be giving you some tips and ways you can enjoy your new Chicago backyard all with your student U-Pass. Every Other Week starting October 3: I will be giving all of you tips on finding your way around Loyola whether it be looking for an on campus job, the history of Loyola, on campus resources/opportunities, and ways to be an active member of the Rambler Community! Knock Knock. Who’s there? School! Time flies by fast. By the time you (really) get cozy and settled in your bed, school knocks on your door telling you to get up and moving. I know this is the the case for me! However, this school year should be a special one so actually, I’m quite pumped up and somewhat ready to conquer this semester! It’s a special year because it is my last year at Loyola and I am the president of VSA, so I’ll be quite active doing a lot of stuff! My summer was alright. To sum it up in one word, it was unproductive (to an extent). Compared to a regular school semester, my stress and anxiety levels were not as high. I got to sleep in and stay up late to do a ton of fun stuff. More importantly, I made time available for me to heal and recover- I have been through many things and this summer gave me ample time to breathe and finally relax. This summer break was well needed and now it is only right that I return to school to finish off what I started. I am confident that I will be walking out of school with a diploma in my hand, and I will do whatever it takes to get that goal accomplished. As I have mentioned before, in the beginning of the school year, I always feel as if I am a freshman (physically and mentally). It always feels weird… Apparently I look young, so fitting in with the freshman is no biggie. Since I work in the admissions office and interact with a lot of freshman, I mentally understand what these guys are going through and what they must be thinking. Even as I write this blog, I see new freshman moving into their new dorms and I get the same sort of excitement and nervousness as they do! I must remember this- School comes FIRST. Other things come after. I didn’t come to Loyola to have fun to that much extent; I came to get a diploma. Education should be the first priority because that will take you far in life, in the long run. I hope I’m making the right decisions here and hopefully you all can see that as well as my thinking process with this. Anything to say about all of this? Comment below and I’ll gladly consider and accept your constructive feedback. The solar eclipse is quite rare, to be honest. With a universe this big and grand, the chances of the moon aligning with the sun so close to us (the Midwest) near 100% totality, is slim. We may be accustomed to seeing the moon during the nighttime and maybe a faded moon during the daytime, but we never see the moon so prominent as we will see this upcoming Monday. When we think about darkness during the daytime, the closest we get to that, is if we had a cloudy thunderstorm covering the sun. But to imagine the moon blocking out the sun on a cloudy-less day (let’s hope its not cloudy…), its quite fascinating if you are a geek-freak like me. Maybe I am a bit too hyped for this event, but why not… It’s fun, I’ve never experienced it in my lifetime, and nevertheless, it is rare. Plus, school hasn’t started yet, so go all out and crazy! Enjoy yourself! There is exactly 2 weeks left until the Fall semester begins! Some of you freshman might be excited to start a new journey and some (if not most) are nervous. I remember when I was a freshman, my anxiety was through the roof. I did not know anyone well besides another friend from my high school, and most of my new friends (from Orientation) were not taking the same classes I was taking. It was scary, but I was mainly distracted from all the school spirit and energy I felt on campus especially in the first week of school. Essentially, I felt excited, welcomed, and proud to be at Loyola. Semester Kickoff @ the Libraries : If you go to the IC (12pm-2pm), you can go get a freeze pop! Also, you can learn about the construction improvements that were made at Cudahy Library this summer as well as other info regarding the resources and services available for you (there’s a lot!). Sundaes at Sullivan : On top of donuts, wouldn’t it be nice to treat yourself to a refreshing sundae at Sullivan! Stop by to learn about all the services we have at the Sullivan center, including pre-health advising, career development center, first and second year advising, CAS advising, the tutoring center, ACE, study abroad program, admissions office, student hub, and so much more! Come stop by to visit from 12pm-2pm. Campus Rec Fair: Are you interested in the kinds of sports we offer here and stuff we have at Halas Recreational Center? Come stop by at the West Quad from 1pm-4pm to visit all kinds of booths and get the opportunity to talk to all sorts of people! You’ll also get to learn how you can sign up for Intramurals and even sign up for fitness classes like Zumba, yoga, or swimming lessons! Institute of Environmental Sustainability Tours : Your regular tours do not highlight much of the IES unless you take the specific IES tour. If you aren’t a major in this and want to see what IES has, come take a tour! These student-led tours are start at 11am. You’ll get to go upstairs and check out the greenhouse up close and tour the bio-diesel lab, where we make our bio-soap you will find in all LUC bathrooms! Meet the Greeks : Are you interested in being in a fraternity or sorority? This is the event for you to meet the Greeks and get to know them better. Who knows– they might even invite you to become a part of their group! Here’s a list of current LUC fraternities/sororities: Alpha Kappa Alpha Sorority, Inc. ,Alpha Phi Alpha Fraternity, Inc. ,Alpha Psi Lambda National, Inc., Delta Phi Lambda Sorority, Inc. , Delta Sigma Theta Sorority, Inc. ,Kappa Alpha Psi Fraternity, Inc., Lambda Phi Epsilon Fraternity, Inc. , Lambda Theta Alpha Latin Sorority, Inc. Come visit all of them at Damen Den at 7pm. Volunteer with Sorority & Fraternity Life : After yesterday’s meet and greet, come help them package bagged lunches for the community kitchen of a Harvest Fest. You’ll get to talk to the Greeks once again and build a connection with a fraternity/sorority you are most interested in! Come help out at the West Quad from 2pm-3pm! Welcome Week WTC Block Party : This is a super fun event on the Water Tower Campus! We’ll block off a start and throw a party to welcome all of you! There will be tons of good food, music, games, and booths for you to learn about all the services and resources available to you! Come to Pearson Street from 4pm-7pm to enjoy the fun! LGBTQIA & Friends Welcome Reception : Yet again, we celebrate the LGBTQIA folks with a fantastic reception at the Multipurpose Room from 5pm to 7pm! Come here to meet new people and make new friends! Food and refreshments will be served here and you’ll get to hear speeches from other students and staff! New Year’s Festival : Don’t you love live music, carnival games, photo entertainment, and Chicago food?! Come to the West Quad at 7pm to see an outdoor film and enjoy all the entertainment and food with new friends! Hypnotist Jim Wand : Come to the Mudelein Auditorium to see a cool hypnotist show from Dr. Jim Wand! This is usually a packed show, so come early to get the best seats for you and your friends! Show starts at 8pm! Especially in college, if you are gliding by in classes and not struggling at all, that is a problem. College is about continuous learning and challenging yourself to understand more and stay curious. In order to be better and wiser, you need to sometimes fall and fail. Turn those bad experiences in learned lessons! It’s okay to feel uncomfortable and not have things go the way you initially planned. Even if you keep struggling and struggling, you are better than most people because you have more real time experiences and exposure; essentially you know more. Obviously, there is nothing wrong with that; it’s a good thing! For a college student, there are several instances where this may come into play. If you drop a class or you did not do well in a class, that is ok. Things happen and not doing well in a class is understandable. Just remember to take something away with that lesson- get a tutor earlier, dedicate more time to learning, change study habits, take advantage of other resources, etc. If you had instances of bad encounters on the streets or neighborhoods, that is ok too. Campus safety always send out email alerts of crimes or mishaps near campus, so students like myself, stay notified and up to date with our surroundings. I am lucky to be a commuter and go home early evening when there’s still daylight, but for my friends who dorm, I know that it can be dangerous walking alone in the nighttime. Even if Rogers Park (neighborhood where LSC is located) is named one of the most safest neighborhoods, anything can and will happen. Like I said before, bad encounters is okay if you learn from that experience–bring pepper spray, have campus safety phone number in your phone contacts (including Dial-A-Nurse number), how to be an active bystander, etc. Maintaining good terms with people can be difficult too. If you break trust or confidence in someone, you got to redeem yourself and prove that you are better than that. If you honestly want to continue some friendship/connection with that person, you would try your best to show that other person who you really are including how you intend to fix the problem. Nevertheless, failure is inevitable. However, do not let that swallow you up whole and leave you lifeless. You need to be your own leader and pick yourself up because quite frankly, no one else has an obligation to do that except you. Family members can help support you, but you have to be the one making the executive order for how you want to live out your life. Fail, but have courage to feel a sense of hope and self-worth and do something about it. One event I always attend in August is Marian Days. This year was an exception because I am taking a summer class. (This is my first time that I missed Marian Days in almost ten years of consecutive attendance). Marian Days is always held in the first week of August from Thursday to Sunday. 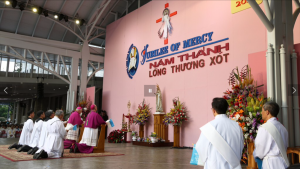 It is a Vietnamese and Catholic event located in the Congregation of the Mother Co-Redemptrix in Carthage, Missouri. 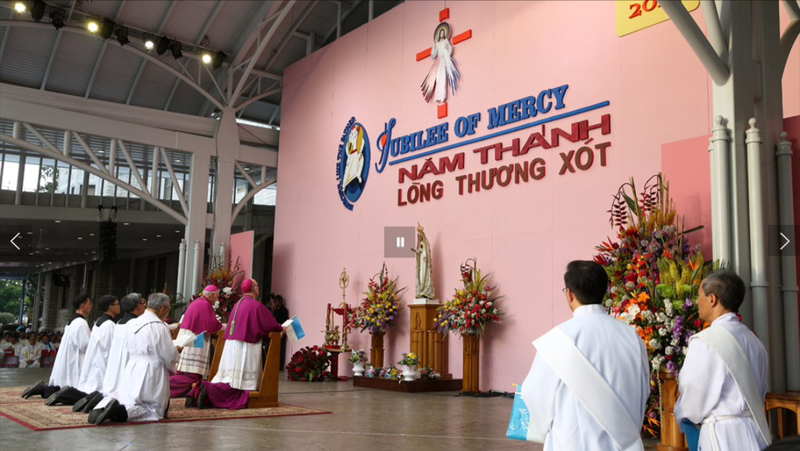 It is a wonderful event for the Vietnamese community to come together to grow stronger in faith and reunite with other families from all over the world. Mass is conducted outside, alongside hundreds of priests and people religious, a full orchestra, and over 100,000 people. This year marks a special year because it is the 100th anniversary of the appearance and visitation of Fatima from France. In addition, this year marks the 40th Marian Days! It was unfortunate that I could not attend this year’s special Marian Days, but there will be future times when I can come, optimistically speaking. It is understandable that the summertime is the prime time for weddings. Since I am a cellist and pianist for my choir, there’s a lot on my part in terms of music and preparations. I remember last year, I did 5 weddings; this year, 5 as well. This Sunday, I will be doing a wedding by myself because the keyboard player is attending Marian Days. Lollapalooza is happening now thru the weekend and although I am not attending that, my sister is. 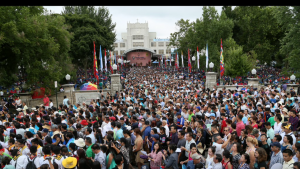 A lot of people go to this event, located in Grant Park. It is an awesome and fun way to head into the city and jam to your favorite artists! In the coming weeks before school starts, there is CommuterCon training for me. CommuterCon is an event that happens during the Orientation day for new freshman. 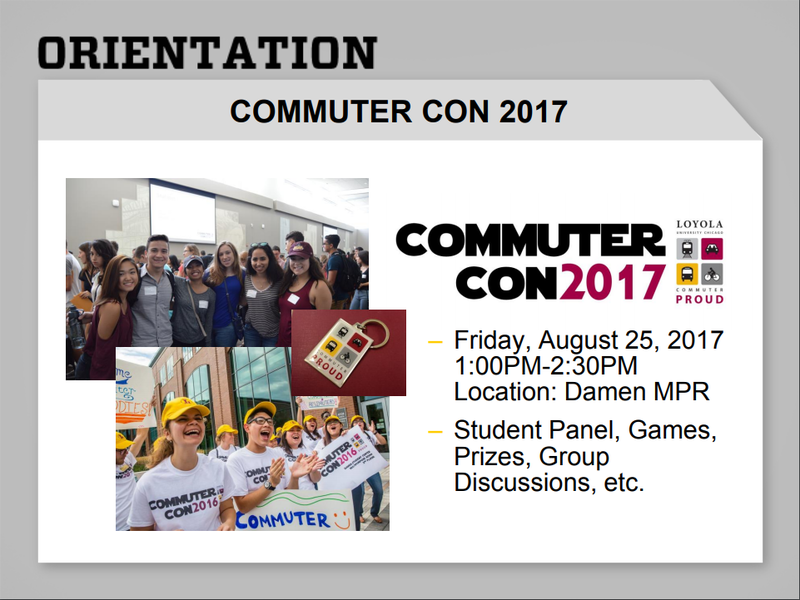 Those who will commute (as opposed to dorm) will attend this event and it is up to leaders like me to facilitate CommuterCon. It is composed of a panel of people sharing their commuting experiences, familiarize freshman with commuter resources, and socializing with other commuters. Last year was the first time the commuter office has done something like this and personally, I thought it was a success! This year, we’ve got a lot planned so get ready to see my face, new freshman commuters! My birthday...21…legal age… Just to be clear, I don’t believe it either. I don’t feel 21. Working in the Undergraduate Office and chatting with a lot of high schoolers often, I still feel like a freshman or high school senior. Anyways August is, nevertheless, PACKED with stuff to do. There’s so much to get ready for! Maybe now you understand why this month feels a tad different and uncomfortable for me now. Regardless, time doesn’t stop and I’ve got to get these things done and finished and move on. The prize set on my mind is graduation now, therefore, look forward (talking to myself).